This and more time saving tips available for only $19.99. Call now! apparently he only had time to shave one arm. They turned his water off. ...And not a single f*ck was given that day! If i get cut im gonna be soooo pissed. This is the best multitasking I've ever seen. 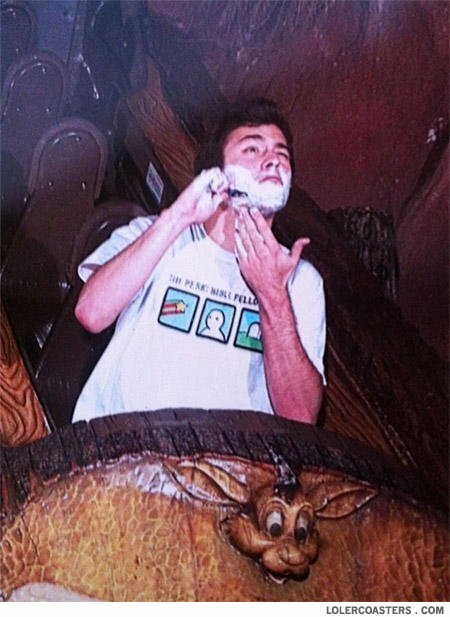 Shaving in the rollercoaster. LIKE A BOSS! Why did the cat fall out of the tree?